As you can see core storage came in a variety of sizes during it's life. The "donuts" became smaller and smaller and hence the memory size increased per memory plane. We have tried to collect as many as possible and the three types that you see here came from the following machines. 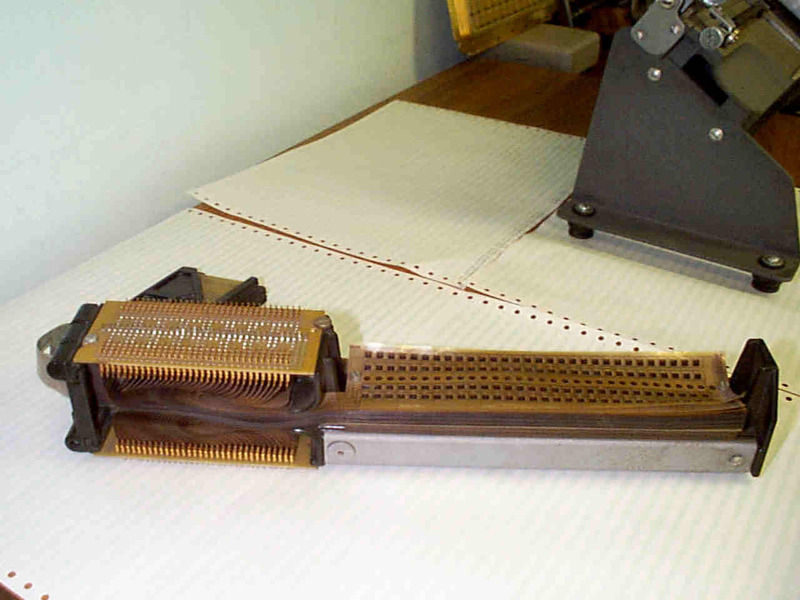 The largest core is from a 2821 control unit ( the controller for the 1403 printer and 2540 card reader punch). 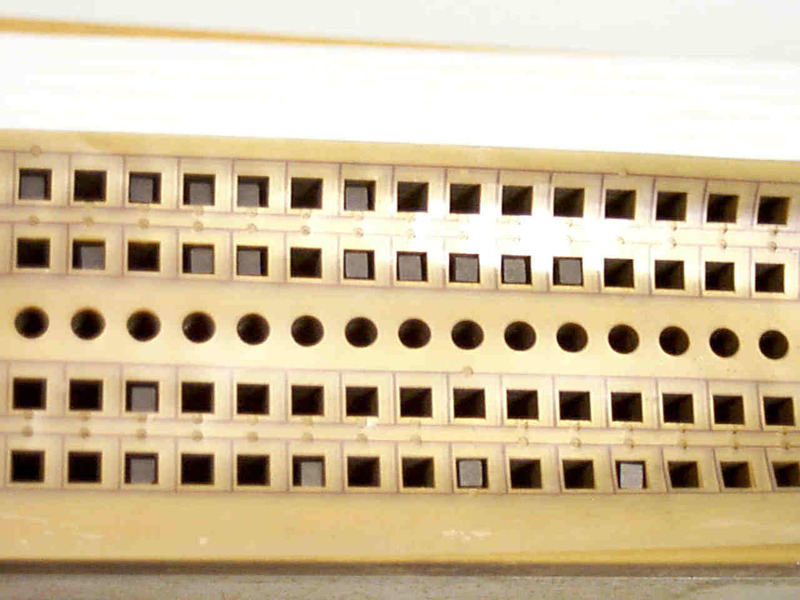 The storage was used to keep the Universal Character Set (UCS) buffer information. This allowed for print trains to be interchangeable on the printer. As you can see the actual size is about 3 inches square. 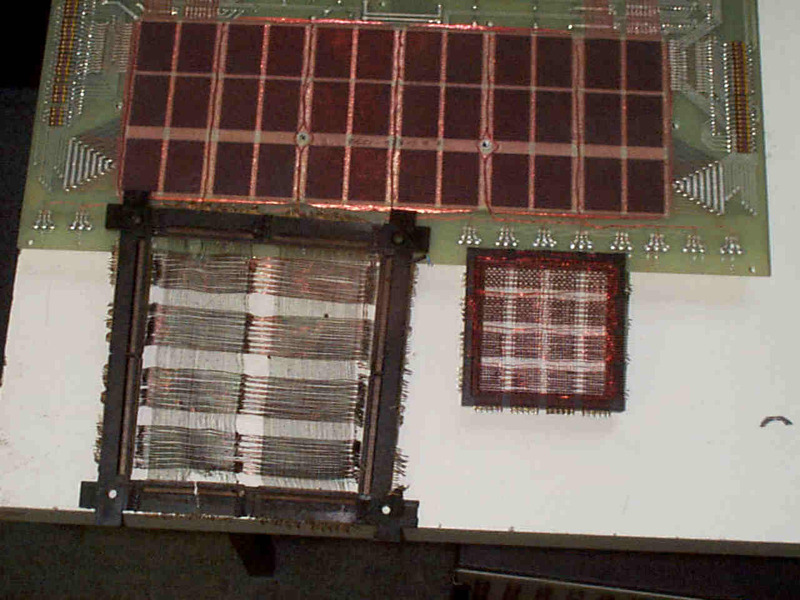 The core on the left is from a 360 processor and formed the heart of the M8 and M9 storage arrays. (pictures to follow). Finally a storage array made by Fabriteck, this was part of an add on memory for 360 systems. This was from a 360-50 system that we maintained in 1979. Transformer Read Only Storage used in the 2040 (360 Mod 40). This type of ROS was also used in the 2020 and 2841 DASD control Unit. 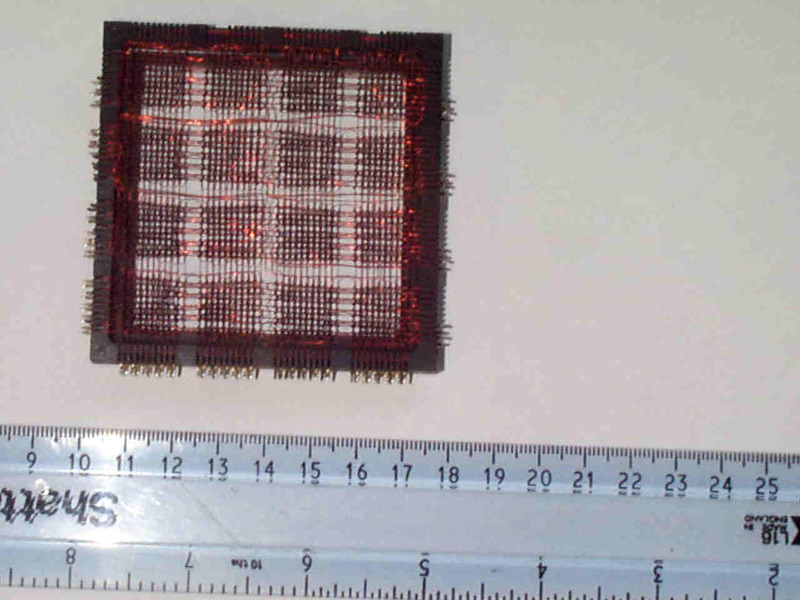 This actual module was the CE diagnostic micro code for the 2841. Maybe the first removable CE diagnostic micro code ever used ?? As you can see the storage was made up of rows of small transforms and the tapes were punched to make either a "0" or a "1". We have the service aid from IBM if anyone is having any problems punching TROS tapes.